Discover the magnificent Yangtze River in luxury and comfort at unbeatable local price! Based in Chongqing & Chengdu, we are the leading local travel agency for traveling to Yangtze River and China. With many years’ experience, no matter you book the all-inclusive Yangtze cruise, or tailor make your worry-free China Yangtze holiday, you can be assured you're in "Quality, Service and Value" at your own pace! 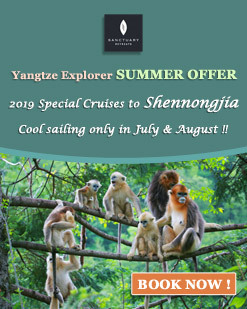 Take the most popular Chongqing Yichang cruises with great deal in 2019/2020! 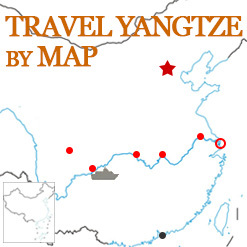 There're 27 ships sailing downstream (4 days & 3 nights) and upstream (5 days & 4 nights) on Yangtze River. Book early at a cheaper price! Specialized in booking Yangtze River cruise for many years, we know the area, the Yangtze cruise companies and Yangtze cruise ships very well. Here, we have provided you the top 6 cruise companies with detailed ship info, prices, deals, schedules and itineraries etc. Choose your favorite one and start your relaxing Yangtze vacation right now! Latest Port News for Embarkation & Disembarkation: Chongqing Chaotianmen Port and Yichang Maoping Port are the main piers for Yangtze cruise. 1) For upstream cruise, travelers should first gather at Yichang East Railway Station or Yichang Three Gorges Cruise Terminal to take bus arranged by the cruise companies to Maoping Port for embarkation. 2) For downstream cruise, travelers will disembark at Maoping Port first and then take the arranged bus at Three Gorges Dam Site to Yichang downtown area for leave. China is full of contrasts in landscape, culture and historical sites. You'll not only get an awesome cruise experience on Yangtze River, but also deep into many classic destinations that ships cannot go. Since we are based in Chongqing & Chengdu, it’s a good choice to take our local tours with cruises at the competitive price. You just need to sit back and enjoy, we take care of all details. Located in Chongqing, the significant Yangtze pier, we are the leading local travel agency for traveling to Yangtze River and China. Specialized in Yangtze River cruise booking for several years, we have great relationships with all ship companies. With one-on-one service, our cruise experts provide 24-hour support and are always patient and friendly to make your travel as easy as possible. "This tour is well organized by Ashley He. This is a 5 days Yangtze River Cruise, 5 days Wulong tour and one day Shanghai tour......."